Powerball jackpot is now $100 million. 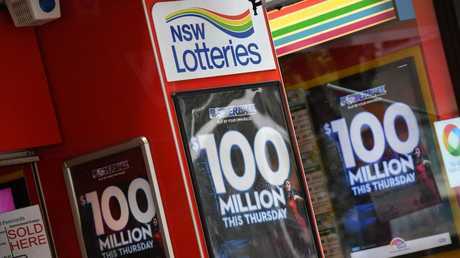 A MASSIVE $100 million Powerball draw on Thursday has many Australians dreaming of hitting the jackpot - but is there a way to make that dream come true? 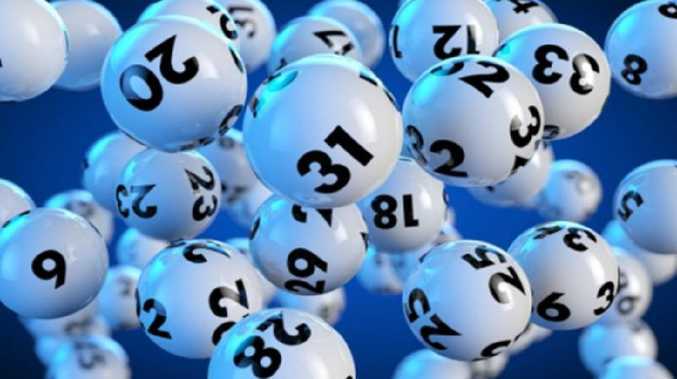 The jackpot is the equal largest prize Powerball has offered in the game's 23-year history and if there is only one winning ticket, it will set a record for Australia's biggest lottery prize. "The current record is held by a Hervey Bay couple who won $70 million in January 2016," Lott spokeswoman Lauren Cooney said. The $100 million Powerball draw 1183 will take place on Thursday, January 17. To be clear, lotteries are completely random so it's probably unlikely this will help you win but hey, here are some tips anyway. Powerball keeps a tally of number frequencies, showing how many times each number has been drawn since April 19 last year. The number 32 has been drawn 13 times compared to the number one, which has only been drawn four times. According to Powerball, the luckiest numbers are 7, 9, 17, 24, 25, 29, 32 and 34, which have all been drawn 10 times or more. The unluckiest numbers are one, 10, 11, 12, 16, 21, 26 and 27, which have all been drawn four or five times. When it comes to the Powerball, three, 13 and 19 have all been drawn four times. While six, eight and 10 have only been drawn once. According to seven-time US lottery grand prize winner Richard Lustig, there is a method to picking numbers which he only reveals in his imaginatively titled book Learn How to Increase Your Chances of Winning the Lottery. One easy tip he suggests is to choose your own numbers and back them regularly, instead of letting the computer pick the numbers. "It doesn't matter how you pick your numbers, once you pick your set of numbers, research them to know if it's a good set of numbers and stick with them. There's no magic method to picking your numbers, I get emails every day asking. One number doesn't win the jackpot, a set of numbers does," Mr Lustig told CBS in 2013. He also wisely suggests not to spend more than you can afford on tickets. "Don't get lottery fever - don't use your grocery money, or your rent money. Remember one thing, if there is one winner on Saturday night, there will be millions of losers, don't be that person Sunday morning worrying about how you can pay back the money you spent." Don’t buy a quickpick if you want to win, says one lotto winner. If you split the cost of a ticket with friends or family you can play more games and spend less money. Basically, you get more chances to win the jackpot for less. But there are pitfalls and many stories of those who just missed out. 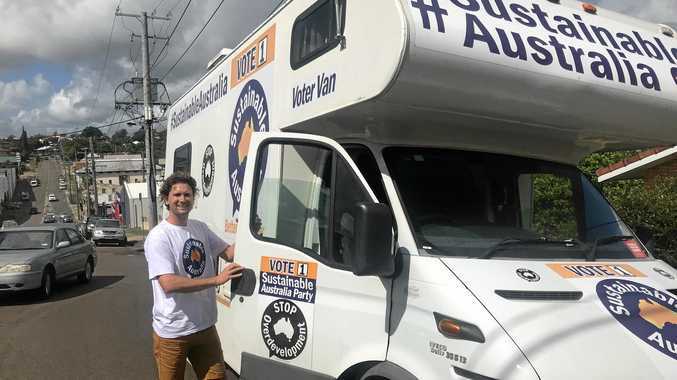 Such as the two Sydney construction workers who lost their share of a $2.2 million win after choosing to buy lunch instead of chipping in $10 with their colleagues. Or the factory worker who wasn't included in a "one-off" syndicate separate from his regular group. The chances of winning some lottery draws are higher than others. A regular Saturday Lotto draw has a one in eight million chance of winning University of Technology Sydney maths lecturer Stephen Woodcock told SBS. This compares to Powerball, where you have a much lower chance of winning - one in 76 million. But Dr Woodcock said buying a Powerball ticket became a "reasonable bet" once the jackpot rises to $50 million. However, you are more likely to have to share the winnings because more people will probably buy a ticket. 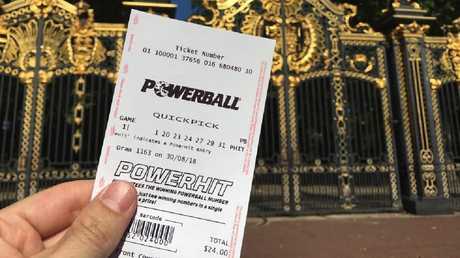 With $100 million up for grabs, it's expected that up to one-in-three Australian adults will buy a ticket for Thursday's Powerball draw.